Law at the End of the Day: Considering Zhiwei Tong's Essay, "Two Issues on Constitutional Government in China"
Considering Zhiwei Tong's Essay, "Two Issues on Constitutional Government in China"
Zhiwei Tong (童之伟) is one of the most innovative scholars of constitutional law in China. Professor Tong has been developing his thought in part in a essay site (童之伟) that was started in 2010 and introduced to English speaking audiences in Larry Catá Backer, Introducing a New Essay Site on Chinese Law by Zhiwei Tong, Law at the End of the Day, Oct. 16, 2010. Professor Tong is on the faculty of law at East China University of Political Science and Law. He is the Chairman of the Constitution Branch of the Shanghai Law Society and the Vice Chairman of the Constitution Branch of the China Law Society. Professor Tong will be presenting his essay "Two Issues on Constitutional Government in China" at Pennsylvania State University, which is hosting the conference, "China-Constitution-Politics" to be held at the Penn State School of International Affairs April 9, 2014 (Conference Announcement: "China-Constitution-Politics" to be Held at Pennsylvania State University April 9, 2014). This post considers Professor Tong's "Two Issues" paper. The essay may be downloaded in printable form HERE. Professor Tong starts by walking through an officially opened door. "In 2003, an official document issued by the general office of the central agency of CPC brought about a debate on constitutional government." (Zhiwei Tong, "Two Issues on Constitutional Government in China" p. 1). He was not the only one. The leading advocates of the principal schools of Chinese constitutional theory also used that opportunity "to put forward their arguments." (Ibid). The essay serves as a guide and introduction to the debate that developed, the issues and Professor Tong's "personal point of view on the debate." (Ibid., p. 2). That personal point of view is grounded in a specific set of premises. Professor Tong understands "constitutional government" as grounded in a constitution "which restricts the public power and guarantees the individual basic rights, which is being fully implemented." (Ibid., p. 1). In the specific case of China, Professor Tong posits that constitutional government "by the Chinese people includes the following elements, such as written constitution, people's sovereignty, limited government, retraint of power, guaranty of basic human rights or citizens' fundamental rights, the representative democracy on the basis of general election, constitutional control of armies, judicial independence, the constitutional supervision or constitutional review." (Ibid). For Professor Tong, Chinese constitutionalism necessarily falls "in with the views of Americans on constitutional government in many ways today." (Ibid). Professor Tong divides his consideration fo the Chinese constitutional debate into four parts. In a critical and foundational Part I looks to constitutionalism of the Chinese Communist Party (CPC) before and after 1949. Part II considers constitutional government in two parts--constitutional government or anti-constitutionalism (new dictatorship?) and the socialist constitutionalism or universal constitutionalism. Part III analyses the major points of the socialist constitutionalism faction. Part IV examines the major points of the universal constitutionalism faction. Part V ends the examination with Professor Tong's insights on the debate. Professor Tong traces the constitutionalism of the CPC to the father of modern China, Sun Yat sen. That constitutionalism was grounded on a set of basic structural and normative premises. These Professor Tong describes as including popular sovereignty, democracy, nationalism, economic rights, rule through written constitution, and the protection of citizen's rights to vote, recall officials, popular initiative and equality. (Ibid., 2). The essence of these premises, of course, is grounded in the notion, by then popular in the West, that all political power be vested in a government and that the nature of the vesting of that power be described in a framing (constitutional) document (Cf. Backer, Larry Catá, From Constitution to Constitutionalism: A Global Framework for Legitimate Public Power Systems, Penn State Law Review, Vol. 113, No. 3, 2009). Yet, Professor Tong also described the first of what will be a longer set of deviations between Western and Chinese notions of separation of powers--Sun Yat-sen's proposal that governmental authority be divided not in the usual way--between executive, legislative and judicial authority--but rather that it be organized in five functional categories. These Sun identified as a legislative, judicial, administrative, impeachment (or audit) and examination power. (Tong, supra., 2). This "separation of five powers" theory would eventually find its way into the 1935 constitution of the Republic of China. Thus, above the state constitutional system, and beyond that constitutional order described by Professor Tong, Sun situated a another public organization (for him the Kuomintang, and later the Chinese Communist Party) apparatus which was to serve a role as a vanguard (military security, and tutelage of the population in the political premises of the new system) and as the guardian of the political system, all with the objective of eventually preparing the nation for an eventual transition to deep democracy. These three periods of constitutional organization run in deep parallel to the General Program of the Chinese Communist Party. The Sun-Joffe Manifesto, (Jan. 26, 1923), though mostly symbolic, confirmed this initial connection between Soviet Union, Kuomintang and the young Communist Party. Still, the Manifesto also suggested that Soviet style communism would not be suitable for China. This points to a powerful insight--that principles of Leninist state organization are not necessarily or uniquely tied to the substantive premises of Marxist theory. Certainly, it is possible to surmise that Sun might not have embraced Soviet Marxism even as he saw the important utility of Leninism in the building of deep constitutionalism. Likewise, the CCP has also embraced the idea that Marxism and Leninism are not inexorably tied as the CCP moves seeks to scientifically develop Leninist organizational theory into the current movement of "socialist democracy." (Hu Angang, China's Collective Presidency 2014). It follows that Party-State organization is not necessarily tied to the premises of any single political ideology. And thus it is significant that from the overthrow of the Qing Dynasty, the idea of the organization of the political order into two spheres--a constitutional order through which the administrative apparatus of state would be organized and constrained, and a political apparatus above the administrative organs of state that would preserve and lead the political system was already current. It is in this context that Professor's Tong's reference to the constitutionalism inherent in the statements of Mao Zedong and Zhou Enlai become clear. (Tong, supra., 2-3). But it also tilts in a direction that may not inevitably led immediately to the sort of popular democratic institutions now common in the West. For Mao, constitutionalism, Professor Tong notes, is democratic politics (Ibid., 2). Yet Mao understood politics as necessarily constrained by the role of the vanguard Party and its leadership through the Leninist construct of a people's democratic dictatorship. And both Mao and Zhou understood the notion of "people" in terms of class struggle--that is, that the people constituted the working classes and others who under the leadership of the Communist Party had internalized principles of socialist democracy (Mao 1949). It is also in that sense that one might understand Zhou's reference to free speech and democracy. That internalization would be manifested principally through membership in the Communist Party. With that in mind, Professor Tong's conclusion that "the history of the establishment and implementation of the Constitution after 1949 is considered as the process of constitutional government" (Ibid., 3) can be appropriately contextualized. The focus is necessarily on the 1982 Constitution as a work in progress and one that implicates the constitutional roles of people, party, government, and state (Backer, Larry Catá, Party, People, Government, and State: On Constitutional Values and the Legitimacy of the Chinese State-Party Rule of Law System, Boston University International Law Journal, Vol. 30, 2012). That opens the door to the context of the constitutional conversation, one with Chinese characteristics but undertaken in the shadow of transnational constitutional norms, that is currently being undertaken in China. That is the subject of Part II. Professor Tong notes that, despite the foundational and ideological legitimacy, within Marxist and Leninist principles, of constitutional government in China, there has been an intellectual reaction against constitutional government in China (Ibid., p.3). Professor Tong notes correctly that from 2004 this reactionary literature sought to paint constitutional government strictly as a western construct with little resonance to the conditions in China. More telling, that literature suggested that constitutionalism itself was hostile to China's political system and its Marxist norms. He also notes that between 2008 (with the publication of the Work Report of the NCP Stranding Committee) and 2013 (and its publication of the CCP Central Committee Briefing on Current Ideological Trends) a strong intellectual movement grew up around the defense and scientific development of constitutionalism in China. (Ibid., p. 4). The Briefing, Professor Tong argues, took an unfortunate view of constitutionalism. It suggested that there were two distinct and contrary views of democracy in tension. One was western constitutional democracy and the other was people's democracy. It appeared to view western constitutional democracy as irreconcilably opposed to the party-state system and would subvert substantive Marxist principles because of its tension with Leninism. Yet Tong would cabin that criticism of the Briefing as focused solely on western constitutionalism rather than constitutionalism in general. (Ibid., p. 4). Thus confined, Tong criticized the reaction among Party cadres and intellectuals, that chose to interpret that Briefing as an order to forbid discussion of constitutionalism in its entirety, including perhaps in the form of socialist democracy. That, Professor Tong noted, and quite correctly, would forbid the discussion of the Party line, something that would make little sense. (Ibid., p. 4-5). Worse, it appeared to give approval to the re-introduction of the 2004-2008 anti-constitutionalist line of argument. Yet that appeared precisely to be the object of the Propaganda department of the Central Committee with the authorization of the publication by an anonymous author writing under the name Zheng Zhixue that sought to re-define the term constitutionalism as both strictly a western construct and one that was hostile to Marxist as well as classical Leninist theory. In doing so it might have sought to place "socialist" democracy" as something apart form the global constitutional project. Professor Tong counters that narrow view with an explanation of the two existing factions of Chinese constitutionalism--the socialist constitutionalism faction (SCF) and the universal constitutionalism faction (UCF). SCF adherents would detach the substantive norms of capitalism from the organizational principles of constitutional structuring of government and the organization of political power. They criticize the Briefing for the error of conflating deep normative principles with the organization of the state. For SCF adherents, constitutionalism is the best way to scientifically develop socialist democracy, rather than a means of opposing it. UCF adherents similarly suggest that the universal principles of constitutionalism are incompatible with anti-constitutionalist government. In any case, Professor Tong noted that the anti-constitutionalism faction gathered very little traction within intellectual circles in China, even among those intellectuals whose loyalty to the system was unquestioned. Indeed, Professor Tong suggests that the need to resort to pseudonyms weakened the position of the anti-constitutionalists (Ibid., p. 6). But tellingly, Professor Tong noted that "the facts show that the anti-constitutionalism faction has no strength at theoretic and academic levels and on public opinion basis, but it does not necessarily mean that they have no political strength. (Ibid.). Leadership by the Party means mainly political, ideological and organizational leadership. The Party must meet the requirements of reform, opening up and socialist modernization, persist in scientific, democratic and law-based governance, and strengthen and improve its leadership. . . . The Party must conduct its activities within the framework of the Constitution and laws of the country. It must see to it that the legislative, judicial and administrative organs of the state and the economic, cultural and people's organizations work with initiative and independent responsibility and in unison. (Constitution of the Communist Party of China, General Program). As Professor Tong would put it, "constitutional government is the definite choice of the Chinese politics and law at least to the mainstream Chinese intelligentsia while the opposite autocracy is not their acceptable choice." (Tong, supra, 7). For credible Chinese intellectuals, Tong suggests, the question is no longer whether the CCP will choose constitutionalism or autocracy. That choice, they suggest, was made early in the history of socialism in China, at least as a conceptual matter. The real question, and the one that Professor Tong focuses on is whether socialist or universal constitutionalism is the right path for China. (Ibid). It is to that question that Professor Tong turns next. Professor Tong, who describes himself as a socialist constitutional scholar, starts by considering the multiple streams of what makes up the socialist constitutionalism faction. The two major sub factions include "traditional" and "new" socialist constitutionalists. (Ibid., p. 10). The difference between them is their sense of the extent of changes to the current constitution necessary to make the Chinese constitutional system better conform to Chinese ideals (Ibid., 10-11). The anti-constitutionalists reject socialist constitutionalism as a variant of rejectionism--rejection of the socialist foundations of the modern Chinese state. They accuse socialist constitutionalists of disguising an agenda to replace the current system with something that looks like western liberal democracies (Ibid., 11). Universal constitutionalists in China also criticize socialist constitutionalists for similar reasons--that the socialist constitutionalists "sail under false colors and approaching a dead end." (Ibid., 11). They believe that socialist constitutionalists are engaged in a tactical strategy that undermines the more important normative contests necessary to bring true constitutionalism to China. (Ibid). While the CCP has not accepted the concepts of socialist constitutionalism, the CCP has not condemned it either. (Ibid). The reason, Professor Tong suggests, is because at least some in the CCP understand that Socialist constitutionalists are not attempting to undermine the socialist character of the Chinese state. (Ibid). What holds the variations strains of this faction together is their common belief that "they are willing to respect the current constitution and keep pushing for its full enforcement in order to limit public power and guarantee citizen's fundamental rights; in the meantime they admit the necessities and possibilities that the Constitution need to be gradually amended and improved whenever the time comes." (Ibid., 7). This faction tends to agree that the 1982 constitution plus its amendments constituted a comprehensive reform fo constitutionalism in China, putting the nation on its current path. 1. Popular sovereignty. This principle is traced back to the first post Imperial Constitution of 1912 and finds expression in Article 2 of the 1982 Constitution. (Ibid., 7-8). Yet popular sovereignty does not suggest the way in which it is exercised. And to that end one must look to Article 1 (the PRC is a "socialist state under the people's democratic dictatorship led by the working class and based on the alliance of workers and peasants") which suggests both who constitutes "the people" and how popular power is exercised. 2. Limited government. Professor Tong suggests that if all power belongs to the people, then that power which is not entrusted to the state administrative organs belongs to all the citizens. (Ibid., 8). "Therefore the power of the state and its institutions should not be beyond what is written in the Constitution." (Ibid). Yet, while that may be true about the exercise of administrative authority that is entrusted to the administrative organs of the state (National People's Congress system and State Council, etc. ), it does not address the important issue of the political authority of the CCP. Thus while the administrative authority of state organs may well be limited by the Constitution--and it is clear that CCP policy would admit this principle--the Constitution does not limit the political authority of the CCP itself. Moreover, Article 1 again suggests that the people may not include all citizens, but instead privileges a vanguard role for the working class, now extended to ohers under the principles of Sange Daibiao ( 三个代表) (e.g., Joseph Fewsmith, Studying the Three Represents, Hoover Institute, China Leadership Monitor No. 8). 3. CCP under the Constitution. Professor Tong argues that the principles of the 1982 Constitution makes clear that "the power of the ruling party (CPC) is limited by the Constitution. The essential feature of constitutionalism is to limit the public powers, including not only the state power, but also the power of the ruling party." (Ibid., 8). Professor Tong correctly points to the error of unconstrained CPC power when it was misused by leaders before the leadership of Deng Xiaoping. "And the totalitarian dictatorship of Mao Zedong is one of the forms of the absolute party power." (Ibid). Professor Tong points to the 1982 Constitution Preamble for support, especially those provisions that declare that state organs and political parties as well as individuals and institutions must abide by the Constitution. Professor Tong is right to point to the need for constraining all power, including the political power of the vanguard party constitutionally assigned a leadership role by the 1982 Constitution's principle of people's democratic dictatorship. Those limitations are expressed in the Constitution, surely. But, I have argued elsewhere that those constitutional limitations themselves do not directly bind the CCP but instead reflect the expression of the fundamental CCP line that itself constrains the Party adherence to which determines the legitimacy of Party work in China. Thus while the CCP "must conduct its activities within the framework of the Constitution and laws of the country" (CCP Constitution General Program, emphasis supplied) the constitution itself does not directly limit CCP conduct. (Backer, Larry Catá and Wang, Keren, The Emerging Structures of Socialist Constitutionalism with Chinese Characteristics: Extra Judicial Detention (Laojiao and Shuanggui) and the Chinese Constitutional Order Pacific Rim Law and Policy Journal Vol 23 (forthcoming 2014). Indeed, one could plausibly read the 1982 Constitution Preamble to opposite effect than that suggested by Professor Tong--that the CCP is neither a state organ or political party in the ordinary sense--it represents the Chinese polity directly. The CCP is certainly subject to the principles of the Constitution--the effect of the Constitution's enactment makes it an essential feature of the CCP line which all members are obliged to follow. But it may not be subsumed within the administrative apparatus that the 1982 Constitution creates. 4. Guarantee of fundamental rights. Professor Tong correctly notes that a core obligation of constitutional government is the preservation of human rights (Tong, supra., p. 9). He also notes that the protection of fundamental rights is well developed in the 1982 Constitution. The issue, of course, is one of the manner in which those rights are effectuated and protected. In the West that would be undertaken by courts on the basis of a consensus that such protections are individual and the responsibility of each citizen to protect. But in China it might be argued that such rights are better understood as obligations of both state and Party which the state must undertake to ensure and protect on behalf of its citizens. The difference can have profound effects on the way in which citizens are protected in their rights. (e.g., Backer, Larry Catá, Privatization, the Role of Enterprises and the Implementation of Social and Economic Rights: A Comparison of Rights-Based and Administrative Approaches in India and China, George Washington International Law Review, Vol. 45, No. 4, 2013). 5. Representative democracy principle. Professor Tong argues that the 1982 Constitution fulfills the requirements of representative democracy, though he acknowledges domestic and international criticism that representative democracy (in the form of general elections) are purely symbolic (Tong, supra. 9). The difficulty lies in the placement of representative democracy within the National People's Congress system--the highest and most representative expression of administrative governance. But that principle of representative democracy at the administrative level must be reconciled with the political leadership of the CCP through the principle of people's democratic dictatorship. 6. Integration of the military into the state system. Professor Tong correctly notes that the military is integrated within the constitutional system. As such the military forms a part of the administrative apparatus of state. (Ibid). Yet both remain subject to the leadership of the CCP, and thus it becomes important to ensure that constitutional principles extend beyond constitution to the constraining principles of CCP activity. 7. Division of powers among state organs. Professor Tong correctly suggests that administrative authority is not unitary. Rather administrative power is divided along functional lines (though not completely parallel to those divisions in Western constitutional states) and that a principle fo checks and balances applies as well (Ibid., 9-10). But that separation fo powers leaves unresolved the more fundamental separation of power between an administrative function assigned to state organs and political authority assigned to the CCP. (Larry Catá Backer, Jiang Shigong 强世功 on “Written and Unwritten Constitutions” and Their Relevance to Chinese Constitutionalism, 40 Modern China 2014). 8. Judicial independence. Professor Tong notes the gap between the letter of constitutional law relating to judicial independence and actual practice. (Ibid., 10). The issue of a constitutional role for the courts proves a more difficult question, one that is not likely to produce any movement toward a judicial role for constitutional interpretation on Western models. 9. Institutional framework for constitutional supervision. Professor Tong reminds us that constitutional interpretation is the province of the NCP and not of the courts. In this sense constitutional review is an administrative function, rather than a judicial one. "Hence there has formed a preliminary frame for the system of constitutional review in the Constitution of 1982 from a perspective of constitutionalism" (Ibid., 10). I wonder, though, whether a more robust form of constitutional review might be better exercised by the political organs of Chinese power, as long as rule of law and constraining constitutional principles constrain such decisions. (e.g., Backer, Larry Catá, A Constitutional Court for China within the Chinese Communist Party: Scientific Development and the Institutional Role of the CCP Suffolk Law Review (2008)). 10. Rule of law and protection of property rights. These have been added by amendments to the 1982 Constitution to reflect the CCP line of opening up and development. Professor Tong acknowledges the long lineage of universal constitutionalists from which the UCF derives, one associated with Chinese liberalists and democratic individualists (Ibid., 12 quoting Mao Zedong). The UCF has risen as a consequence of the tension between the rise of material wealth and the failure of an equivalent opening up in individual expression, especially political expression among individuals who are not members of the CCP. Professor Tong suggests that the main points of the UCF is reflected in Charter 08. (Ibid). Professor Tong asserts that much of the agenda of the UCF overlaps the "fundamental philosophy and the current China's constitution. As for the concrete advocacies, over half of them at least can be accepted by the current China's Constitution." (Ibid). But Professor Tong also acknowledges that significant portions of the UCF are not reconcilable within the current Chinese constitutional system. With this as background, Professor Tong summarizes the major positions of the UCF as follows. There should be no leadership role for the CCP. UCF hold that "the CPC should not be fixed to enjoy national leadership on the ruling status of the Constitution, and the system fo free and fair competition among political parties must be implemented." (Ibid., 12). Second, the UCF hold that the judiciary ought to be completely independent and the armed forces non-partisan. The UCF also believe in a Western style separation of powers in which all governmental authority is divided among a legislative, executive and judicial branch. The UCF also holds that freedom of expression should be privileged and "upheld by a press law that abolishes political restrictions on the press." (Ibid., 12). Lastly, UCF advocates a western style system of private property ownership and exploitation. Effectively, the UCF rejects the modern foundations of the Chinese state and would substitute a different political system. It is no surprise, then, that the CCP tends to be hostile. Professor Tong argues that the UCF can be divided into a moderate and radical subfaction. The moderates would privilege those provisions of the constitution that advance liberal democratic values and would reject those provisions that serve to buttress the vanguard role of the CCP and restrictions on individual political rights. (Ibid., 13). The radical subfaction tends to align with the anti-constitutional faction in an ironic way: "the anti-constitutionalism faction faction acknowledges that they and the universal constitutionalism faction 'reach a rare consensus on this point, i.e., constitutional government belongs merely to capitalism and cannot be compatible with socialism."(Ibid. quoting Ma Zhongchen, "Constitutionalism is essentially a weapon for public opinion warfare," People's Daily Overseas Edition, 5 Aug. 2013). While SCF adherents commend the UCF for creating a space within which even limited discussion of constitutional possibilities can be undertaken, and acknowledge the courage and the great sacrifice borne by the UCF (Ibid., 14), SCF suggest that what the UCF seek is not reform but revolution. (Ibid). From a pragmatic perspective, Professor Tong suggests, the result is "passive criticism with a rather limited significance." (Ibid). More importantly, perhaps, the UCF faction must either look for support abroad or will be open to potential engagement with other states. That moves their agenda from an internal one to one that raises the fear of foreign interference. The CCP remains openly hostile to the UCF and its agenda. (Ibid). Professor Tong ends with an analysis of the consequences of the distinct positions of these constitutional factions for the future of the constitutional debate in China. (Ibid., 14-20). He notes the two areas of most specific tension between the positions of the various factions. The first touches on the attitudes toward the position and prerogatives of the CCP. (Ibid., 14). The second touches on the nature and extent of protection of individual and fundamental rights. (Ibid., 15). Within the terrain of Chinese constitutional thought, the SCF holds the center, while the anti-constitutionalists serve as the far left and the UCF the far right ideologically. Based on this understanding Professor Tong offers five concluding insights that are well worth considering. 1. Professor Tong believes that there is no real future for the anti-constitutionalist faction, though they appear to retain considerable political influence (Ibid., 15-16). Professor Tong suggests, and not without reason, that anti-constitutionalists are, in their own way, as revolutionary as the UCF, especially as they seek to undo not just the constitution, but the evolving CCP line since the leadership of Deng Xiaoping (Ibid). In many ways they resemble the American Tea Party in their ideological stance, nostalgia for the past and efforts to undo key political changes and return to a time before unpalatable reforms were made. While in the United States that moves such parties to the political right, in China that moves its adherents far to the left. 2. Professor Tong suggests that the UCF lacks sufficient popular appeal to be an effective force (Ibid., 16). Thus pragmatic considerations suggest that there is little value in the operationalization work of the UCF, though their moral stance has been an effective force for moving discussion toward the agenda of the SCF (Ibid). "In a sense, the universal constitutionalism faction has occupied the commanding heights of political moral aspects in the public opinion field about Chinese Politics and law, however, they have offered no viable path to achieve their political ideas and techniques. This is the biggest challenge to the universal constitutionalism faction." (Ibid). 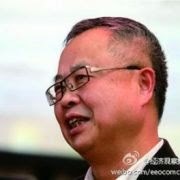 Yet there is value in the UCF for Professor Tong: it is "mainly to criticize and supervise the CCP." (Ibid). But the role of critic leaves little room, according to Professor Tong, for the UCF to "play a constructive role." (Ibid., 17). 3. Professor Tong, as a member of the SCF, suggests that it is only this faction that offers the possibilities of pragmatic reform that is realistic and attainable. (Ibid). He argues they represent the mainstream of Chinese society and a substantial majority of the academic intelligentsia. Their principal objective is to find a means of institutionalizing a set of constraints for the authority and power fo the CCP without denying its leadership role under principles of people's democratic dictatorship. And they want to do this through the constitution. based on the precondition that the constitutional legitimacy for the CCP's leadership is admitted or at least not to be challenged, it is necessary to define clearly the power range of the CCP, to stipulate the procedural restrictions for the CCP to exercise power, to ensure the independence of the judicature, and to carry out the constitutional review to protect the fundamental rights of citizens or the basic human rights. (Ibid., 17). The difficulty, of course, is to overcome the constitutional tension between the role of the constitution and its place within Chinese constitutionalism, and the appropriate source of CCP constitutional limitation. It may be that the administrative constitution may not be the most appropriate place to set these restriction; but if not there then where? That is one of the most important issues of Chinese constitutionalism today. The answer may be that the Chinese Communist Party constitution might itself have to serve that purpose and acquire a constitutional and binding dignity in the political arena that the1982 constitution enjoys within the administrative sphere. 4. Professor Tong correctly concludes that the differences between factions represents deeply different political values. (Ibid., 18). Professor Tong describes the anti-constitutionalists as favoring dictatorship and the others as favoring a liberal model. Yet none of these factions considers the importance of collective leadership beyond the forms of democratic participation and the organization of the administrative state under Rechtstaat principles. That is a deficiency that overlooks a critical area of democratic theory--the nature of engagement and accountability in the conduct of the bsuiness of state. 5. Professor Tong also correctly notes that there "is still much room for improving the politics and law in China" and that the SCF is in the best position to "maximize possible consensus of the whole society." (Ibid. 19). He notes that the recent abolition of the old laojiao system is proof both that the UCF is wrong to suggest that reform of the current system is impossible and that the direction of reform is toward a greater respect for constitutional principles. (Ibid). It is within that space that Professor Tong suggests that the SCF might best serve the reform agenda necessary to continue the scientific development of Chinese constitutionalism. (Ibid., 19-20). I wonder though, whether constitutionalism reform in the absence of the CCP, or around it, might ultimately be the best means of moving China forward on its path toward socialist democracy. It might well be possible that at least in combination with the constitutional project of the SCF, it will be necessary to also explore the theoretical and practical realities of bringing constitutional style democratic principles to the CCP itself. That is a project that the CCP leadership has already signaled it will favor. (Hu Jintao Report to the 18th CCP Congress, Nov. 2012 ("Vigorously promote intra-Party democracy and enhance the Party's creative vitality")). It is a project that I think is a necessary predicate to political reform of any kind in China. If the SCF accepts the vanguard and leadership role of the CCP then it is necessary to start the constitutional reform process within the CCP rather than around it. If the SCF means to remain supportive of the socialist road in China then it is necessary confront the real issue of democratic constitutionalism--the fulfillment of the CCP's own goals to promote socialist democracy, starting from within the CCP and extending outward from there to the administrative organs of the state. The failure to focus on the CCP as an important and central component of the Chinese socialist constitutional system leaves a large hole in the theoretical net the SCF means to cast.